I have found that there are two different groups of people when it comes to caring for an Easter lily after Easter. One group of simply let their Lily “run its course” and then toss it away after it starts to fade. Most of these folks probably water the plant once or twice and then let it go. On the other side of the equation is a group of people who would like to keep their Lily blooming as long as possible and maybe even save it for next year. Since you are reading this post, I’ll assume you belong to the second group and are interested in getting the most out of your Lily. 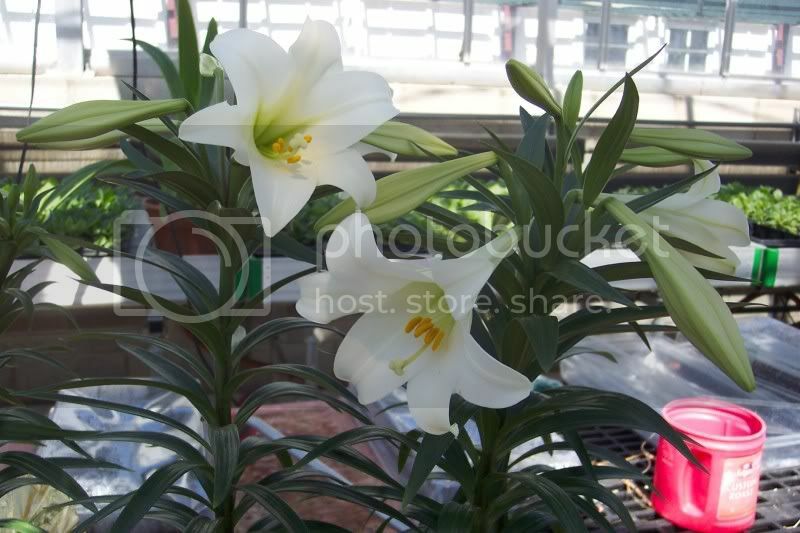 Easter Lilies like to be in a cool bright spot when they are inside a house. So, if you have a choice where to place it, choose the cooler spot away from any heating vents jut as long as it gets light from the window. Don’t worry too much about it though. More important than location is watering. 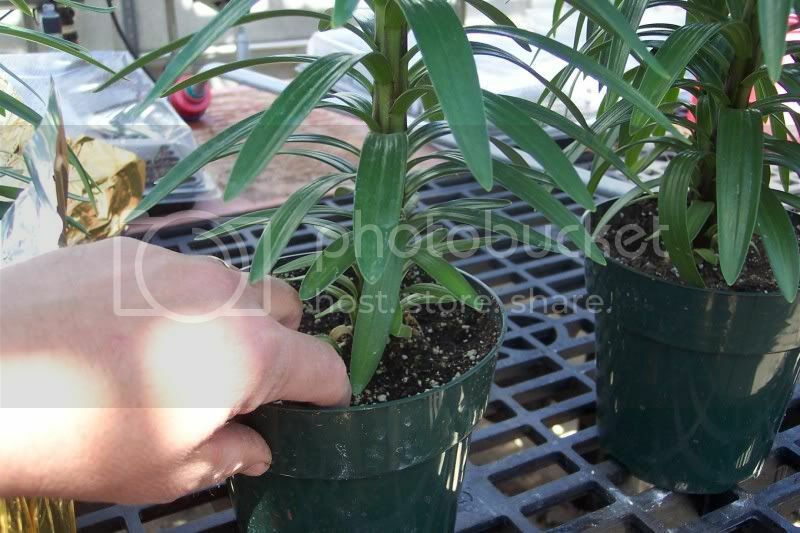 Since most Easter Lilies come with a pot wrapper, it is easy to kill a Lily with too much water. 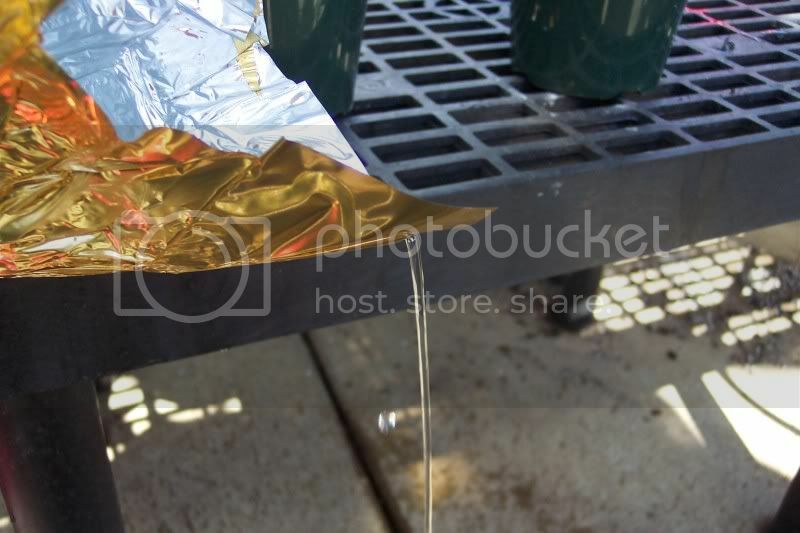 The wrapper will trap water and not allow it to drain away, this will cause the roots to become water-logged and eventually die. This is the most common mistake people make in caring for their Lily. Be sure to dump out the excess water that drains into the wrapper after watering. Cut off the blossoms as they fade. Once all the blossoms have come and gone, just care for it like a house plant. Feel the soil with your finger to get an idea how dry it is. The top of the soil should look and feel dry before watering again. I also like to pick up the pot and feel how much it weighs, a dry pot will feel quite a bit lighter than a wet or damp pot. Sometime around Memorial Day, plant the Lily into a flower bed or other area with good soil and sunlight. Sometimes the existing stalk will die back. When this happens, the Lily bulb will send up a new shoot and continue growing through the summer. Then in the following year your Lily will surprise you with blossoms in July. They always surprise me because I usually forget that I planted them there until they bloom. They don’t naturally bloom during Easter, we have to give them special conditions in a greenhouse to force them to do that. Forcing Easter Lilies is a complicated procedure. We force over 200 Lilies every year. It’s fun but also a challenge because Easter Sunday changes from year to year! There’s no Federal law saying you have to save your Lily (at least not yet ;)) but it is easy to do and a lot of fun. The economy and auto maker bail-outs have dominated the news so much that some of the stories that would normally be reported don’t get much coverage. We have heard so much in the past about the White House Rose Garden, but are you aware that other plants are grown in the Rose Garden as well? The White House gardeners have almost unlimited resources when it comes to plants and other gardening related items. Many exotic species can be found growing there. Several days ago, one of the more unusual plants caused the President Obama to have a some-what embarrassing moment. Apparently he had a minor altercation with one of the Giant Venus Fly-trap plants growing in the Rose Garden. He suffered some minor scratches but shook it off in a good natured manner. You can read the entire account by clicking here. I’ll try to keep up with other newsworthy Presidential plant related articles in the future and share them with you on this site.